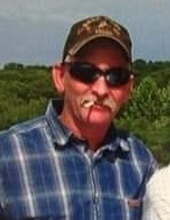 Joshua Arthur “Josh” Wright, age 43, of Springfield, Missouri, passed away on Friday, April 5, 2019. He was born on December 19, 1975 in Murphysboro, Illinois, the son of Jerry Marvin and Krista Lynette (Farris) Wright. He was preceded in death by his father, Jerry; maternal grandparents, Kenneth and Francis Farris; and paternal grandparents, Gerald Wright, and Wanda Thurman. Josh is survived by his mother, Krista Wright; two siblings and their spouses, Jeremy Warren and Kimberly Wright, Springfield, Mo., and Jessica Lynette and Matt Bastura, Billings, Mo. ; paternal grandmother, Barbara Wright, Ana, Ill.; two nephews, Jared Daniel Wright and Jaxson Stephen Bastura; a niece, Sophia Noelle Bastura; and many more aunts, uncles, cousins, family and friends. To send flowers or a remembrance gift to the family of JOSHUA ARTHUR WRIGHT, please visit our Tribute Store. "Email Address" would like to share the life celebration of JOSHUA ARTHUR WRIGHT. Click on the "link" to go to share a favorite memory or leave a condolence message for the family.